You call that a back seat? A mid-cycle refresh for the Genesis Coupe is expected next year. With a little more power as well as some performance enhancements expected, serious enthusiasts might want to hold on; otherwise most won't regret getting the 2012 model. Whether you think of the 2012 Hyundai Genesis Coupe as a trim rival to American muscle coupes like the Ford Mustang and Chevrolet Camaro, or as a somewhat more commute-friendly alternative to the Nissan Z370, you'll likely agree that this sporty, rear-wheel-drive coupe delivers impressive performance while being a particularly strong value for the money. Now into its third year, the Genesis Coupe remains easy to spot from a distance, thanks to its flashy Z-shaped character line near the back of the doors. Otherwise the Genesis Coupe has a pretty ideal mix of rakish sports-car influences and more practical attributes, like its rather low shoulder-line, allowing more window space and better visibility than many other coupes. Inside, the Genesis Coupe isn't quite as bold; there's a traditional cockpit-like layout, though the curvaceousness of it might take some getting used to. Hyundai has spiced up the dash appearance with some bright chrome trim, and upgraded to soft-touch surfaces, to give the look and feel inside more of an upscale ambiance. The four-cylinder model uses Hyundai's turbocharged 2.0-liter engine, which churns out 210 horsepower and 223 pound-feet of torque. Inside the more powerful Coupe 3.8, the engine bay is wedged full with a 3.8-liter V-6 that has 306 horsepower and 266 pound-feet of torque. 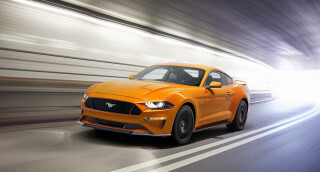 With both the Ford Mustang and Chevrolet Camaro getting power boosts from their V-6 engines over the past year, the competition is now more heated than it was, but the Genesis Coupe is still very competitive: Hyundai says its coupe hits 60 mph in about six seconds and can go on to a limited top speed of 149 mph. Overall, the Genesis Coupe is a joy to drive, with crisp turn-in, great body control, and strong brakes to match the brisk powertrains. The feel of the steering is about the only thing that we'd like to see different; it can feel somewhat nervous on center, yet a bit dull in corners. And keep in mind that the 2.0T and V-6 versions of the Genesis Coupe are very different in personality. The 2.0T feels light and balanced, with only a hint of turbo lag yet a power curve that rewards revving. The V-6 however has the feel of a typical Japanese sedan V-6: It's smooth and strong and pulls hard through the range. The 2012 Genesis Coupe is a two-seater, but you'd better think of it as a 2+2; the rear seat is only marginally capable of containing two adults. Most of the time, anyway, you'll be better off folding the back seats forward to expand the ten-cubic-foot cargo hold. Otherwise, there's plenty of comfort for those in front, with snug sport seats, although taller drivers might find it a bit short on headroom. Ride quality tends toward the busy, choppy side, but we've found these coupes to be surprisingly tight and well-assembled. Six trims are offered, including three for each engine type, which are designated 2.0T, 2.0T Premium, 2.0T R-Spec, 3.8 R-Spec, 3.8 Grand Touring, and 3.8 Track. USB and iPod connectivity, as well as Bluetooth, come standard, while at the top end, the Genesis Coupe can be kitted out with luxury-caliber extras like full leather upholstery, xenon headlamps, fog lamps, heated side mirrors, and an Infinity premium audio system. Track models are the way to go for weekend racers and include a firmer suspension, upgraded four-piston brakes (ventilated in front), a limited-slip diff, and other upgrades. 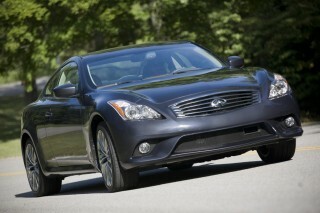 The 2012 Hyundai Genesis has the looks of a rakish sports car, with just enough practicality. Now into its third year, the Genesis Coupe remains easy to spot from a distance, thanks to its flashy Z-shaped character line near the back of the doors. Otherwise the Genesis Coupe has a pretty ideal mix of rakish sports-car influences and more practical attributes, like its rather low shoulder-line, allowing more window space and better visibility than many other coupes. Only from the front does the Genesis Coupe not quite fit in with the rest of the Hyundai corporate look. Inside, the Genesis Coupe isn't quite as bold, and it's a little more traditional-looking for a sporty coupe. There's a smooth, cockpit-like layout, though the curvaceousness of it might take some getting used to. Hyundai has spiced up the dash appearance with some bright chrome trim, and upgraded to soft-touch surfaces, to give the look and feel inside, plus more of an upscale ambiance. The 2012 Hyundai Genesis Coupe has what it takes to dance with entry-level American pony cars, as well as some premium-brand sport coupes. The rear-wheel drive Genesis Coupe was a revelation for Hyundai and those who appreciate high-performance coupes, as it's capable of delivering thrills at the track yet has enough sophistication for long-distance touring. First off, there's a four-cylinder model that uses Hyundai's turbocharged 2.0-liter engine, which churns out 210 horsepower and 223 pound-feet of torque. Step up to the Genesis Coupe 3.8, which chases the Ford Mustang and Chevrolet Camaro, and the engine bay is wedged full with a 3.8-liter V-6 that has 306 horsepower and 266 pound-feet of torque. With both the Camaro and the Mustang recently getting power bumps this year, the pressure's on; but the Genesis Coupe is still very competitive: Hyundai says its coupe hits 60 mph in about six seconds and can go on to a limited top speed of 149 mph. A six-speed manual is standard with both engines. The four-cylinder gets an optional five-speed automatic, while the V-6 version can be outfitted with a six-speed automatic made by ZF. The manual gearboxes shift competently with a good mechanical feel. Overall, the Genesis Coupe is a joy to drive, with crisp turn-in, great body control, and strong brakes to match the brisk powertrains. Tire sizes are staggered, front to back, for better grip and balance. The feel of the steering is about the only thing that we'd like to see different; it can feel somewhat nervous on center, yet a bit dull in corners. And keep in mind that dynamically, the 2.0T and V-6 versions of the Genesis Coupe are very different in personality. The 2.0T feels light and balanced, with only a hint of turbo lag yet a power curve that rewards revving. 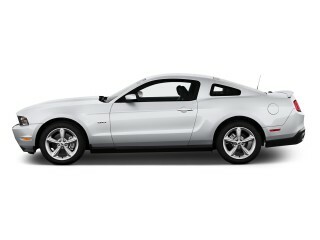 The V-6 however has the feel of a typical Japanese sedan V-6: It's smooth and strong and pulls hard through the range. For two, the 2012 Hyundai Genesis is quite comfortable--and surprisingly premium--though there are a few ergonomic oddities. The 2012 Genesis Coupe is a two-seater, but you'd better think of it as a 2+2; the rear seat is only marginally capable of containing two adults. Most of the time, anyway, you'll be better off folding the back seats forward to expand the ten-cubic-foot cargo hold. Otherwise, there's plenty of comfort for those in front, with snug sport seats, although taller drivers might find it a bit short on headroom. The low, swoopy roofline tends to get in the way in back, and limited headroom plus tough entry and exit will probably give them usefulness rarely if ever. You'll be better off anyway folding the back seats forward to expand the ten-cubic-foot cargo hold. Inside, the Genesis Coupe has a pleasant interior that feels more premium than edgy and boy-racer. A big tachometer and speedometer are splayed in the driver's sight, and a push-button starter and a proximity key are offered. Optional leather sharpens the look of the interior, and last year Hyundai subbed in a host of soft-touch materials as well as chrome gauge-cluster rinds and dark metalgrain accents to really spruce up the look. There are a few ergonomic oddities in these coupes; the driving position itself can feel uncomfortable to some--because of the lack of telescopic steering adjustment--and window and mirror controls are on the driver's door, but placed at an odd angle that takes some getting used. Ride quality tends toward the busy, choppy side, which is really to be expected in this sort of vehicle, but road noise is kept mostly out of the cabin. You'll find all the latest safety features in the 2012 Hyundai Genesis--though there are no crash-test ratings available. The Genesis Coupe hasn't yet been rated by either of the major crash-test organizations, but its feature set is reassuring. Front seat-mounted side airbags, side-curtain bags, and whiplash-preventing active head restraints are all included across the 2012 Genesis Coupe lineup. 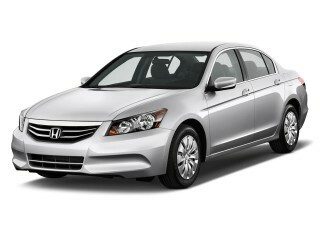 So are electronic stability control and anti-lock brakes with brake assist. Outward visibility is, surprisingly for a sport coupe, quite good. The rear side window, which drops slightly behind the driver, helps, as does the rather large rear window. 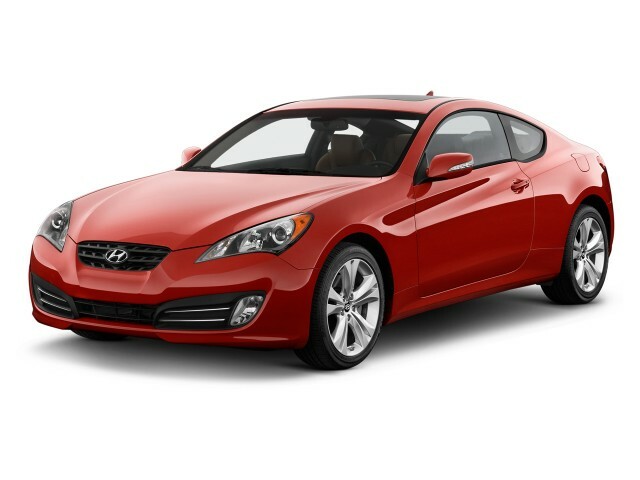 The 2012 Hyundai Genesis has most of the features and options of a premium sports coupe--at a lower price. The 2012 Hyundai Genesis, as most Hyundai models, includes a lot of standard features, with a surprisingly low base sticker price. Six trims are offered, including three for each engine type, which are designated 2.0T, 2.0T Premium, 2.0T R-Spec, 3.8 R-Spec, 3.8 Grand Touring, and 3.8 Track, and while they all come well-equipped, the key differences are mostly a matter of performance and appearance. USB and iPod connectivity, as well as Bluetooth, come standard, while at the top end, the Genesis Coupe can be kitted out with luxury-caliber extras like full leather upholstery, xenon headlamps, fog lamps, heated side mirrors, and an Infinity premium audio system. The standard audio system for Genesis Coupe models includes iPod jacks, a USB input, and Bluetooth connectivity. A 300-watt Infinity audio system is available, as are heated seats. The R-Spec is particularly interesting, as it provides genuine track-readiness in an affordable package just waiting for enthusiasts to modify. Track models are the way to go for weekend racers and include a firmer suspension, upgraded four-piston brakes (ventilated in front), a limited-slip diff, and other upgrades. And to save weight, R-Spec models delete cruise control automatic headlights, and some interior trim. Meanwhile at the top of the line, the Hyundai Genesis Coupe 3.8 Grand Touring lives up to its name, adding xenon headlamps, an Infinity premium audio system, fog lamps, heated side mirrors, heated seats, and full leather upholstery. Last year, in addition to new soft-touch surfaces and upgraded trims throughout the cabin, the Genesis Coupe got a new standard navigation system and automatic climate control for the 2.0T Premium, plus new multi-information display graphics throughout the lineup. 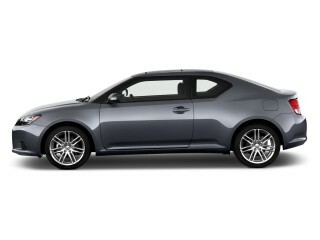 Especially if you go with the 2.0T, the 2012 Hyundai Genesis Coupe is reasonably efficient and green. You might not expect the aggressively styled 2012 Genesis Coupe to be all that fuel-efficient. 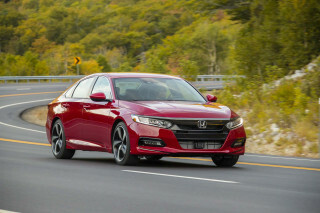 But with EPA ratings of 30 mpg highway for both 2.0T models, if you go with the turbo four-cylinder engine you'll get pretty good gas mileage relative to other performance coupes. At 17/26 or 17/27, V-6 models are quite a bit worse, but about on caliber with V-6-powered sport sedans. 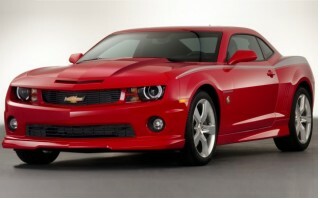 The two V-6 American pony cars, the Chevrolet Camaro and Ford Mustang, both beat the Genesis Coupe in fuel efficiency, however. Awsome Car for the money, really turns heads! Looking for a different year of the Hyundai Genesis Coupe?